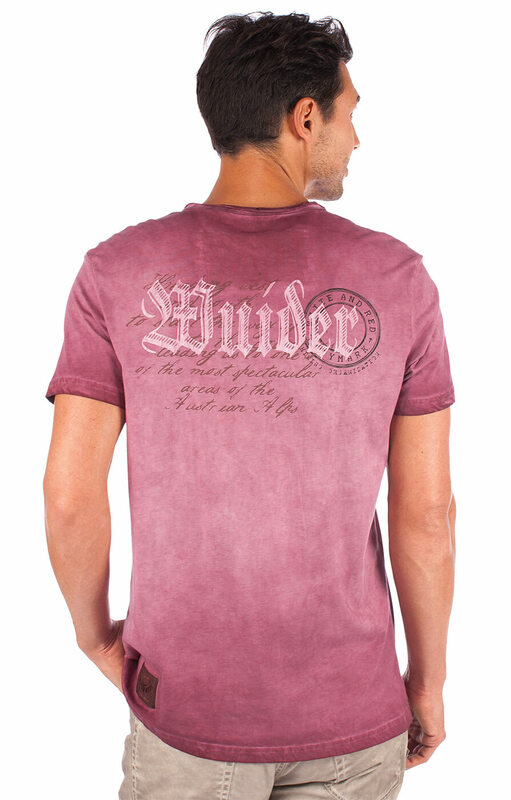 Smart short-sleeved men’s T-shirt in burgundy. 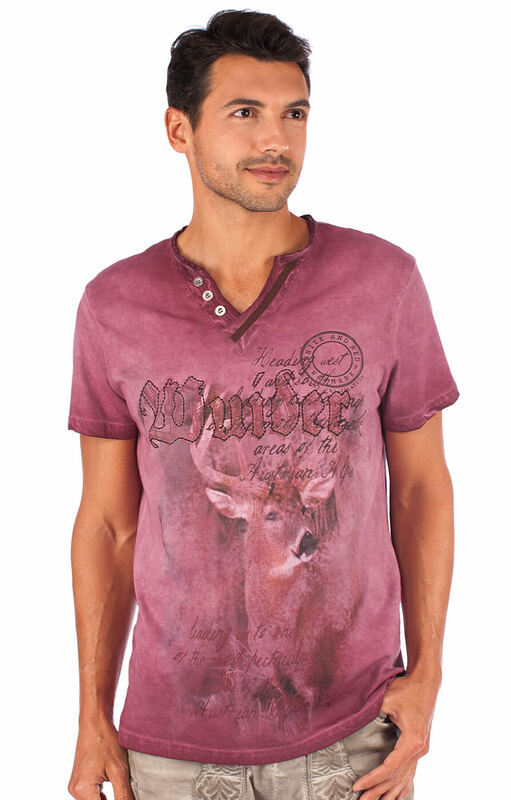 An alluring men’s top made entirely of cotton, Uberto is a traditional German T-shirt with short sleeves and an asymmetrical neckline with mock buttons and dark brown piping. 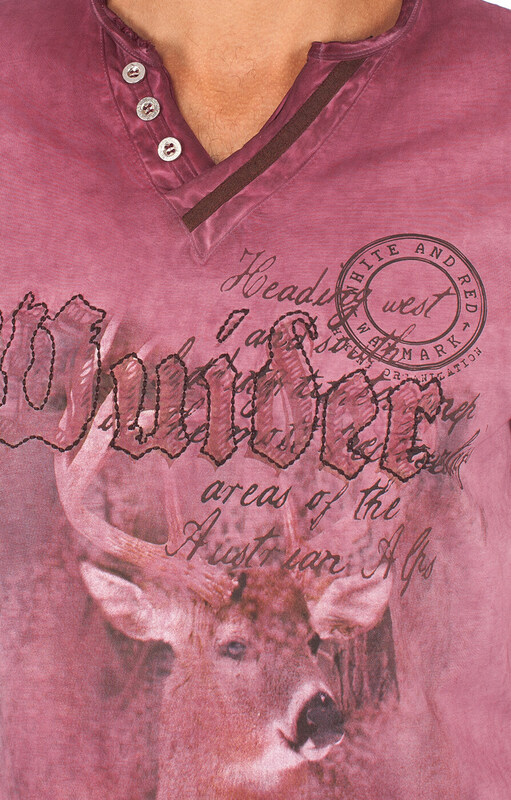 It features the printed image of a deer, along with stamps and writing mentioning the Austrian Alps. 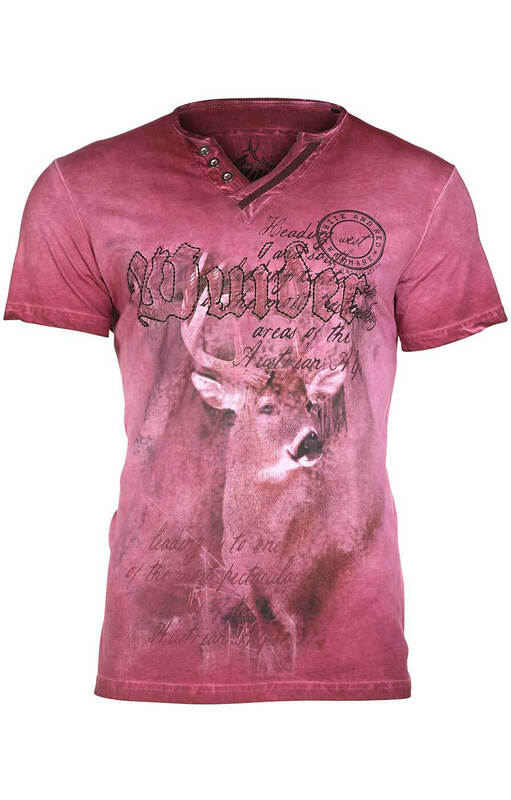 On the yoke, part of the image is repeated on a backdrop of the weathered burgundy.